Marketing Tongue is an online reputation management tool that provides your customers with a 100% customizable dashboard with easy access to your online review sites. Now your customers can read and write reviews with the click of a button. Marketing Tongue makes it easy for your customers to review you from any internet-ready device. The tool is completely mobile-friendly and responsive, so it can be viewed on any sized screen. With the click of a button, your customers can review you on any of your review sites. Marketing Tongue can be connected to your website and email for maximum reach, and it can be used via social media and by text as well. Boost your local rankings with Marketing Tongue. 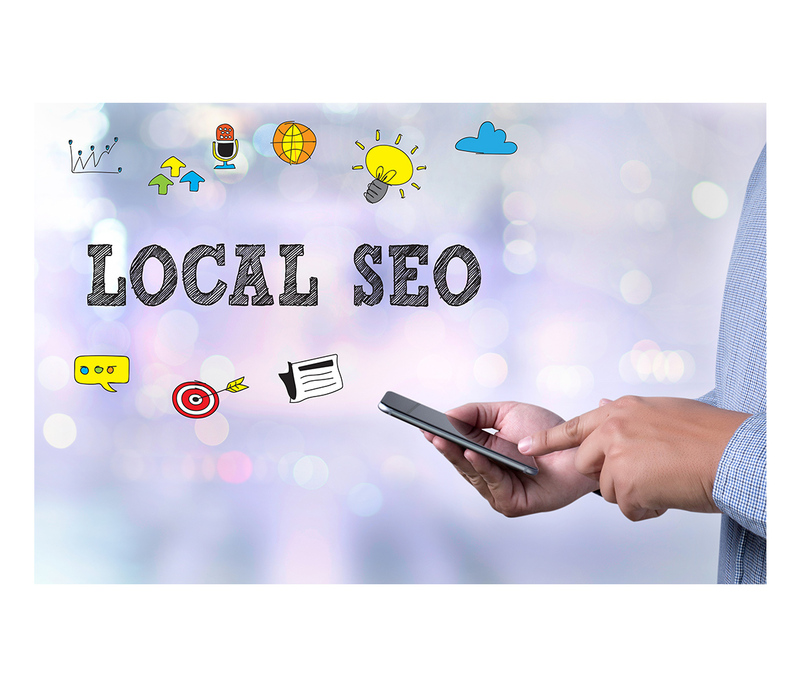 Local reviews are a major factor used for ranking websites locally on search engines like Google, which is why local businesses rely on us every day to help them maintain a great online reputation. By using Marketing Tongue in your email, website, and social media accounts, you can easily communicate to your online audience how they can review you, which will help push more reviews for your business online. If you get a negative review, our Reputation Specialists will help you get passed it the right way. It’s our goal to give you the attention and answers you deserve and to meet this goal; we have Reputation Specialists on call when you need them. You can reach us anyway you like, by phone, live chat or email. We have an answer to all your questions, and we are here to help you repair, maintain, or improve your online reputation. We’ll filter your reviews for you, and help you prevent any unwanted reviews from hurting you online. This is what we call “Experience Filtering”. Through the Marketing Tongue’s review dashboard, a review funnel (experience funnel) is created which helps direct positive reviews where you want them. Get positive reviews on Google, Yelp, Facebook, Trip Advisor and more, and get an email notification for negative reviews from your dashboard. Whenever you get a negative review, you have one-on-one access to a reputation specialist that will help you solve any situation you might be in. 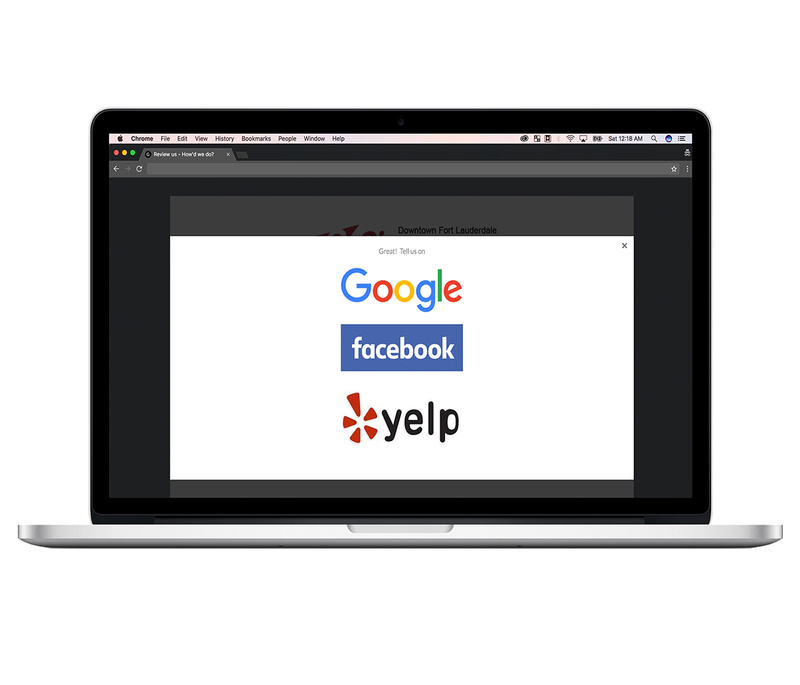 Start getting more reviews on sites like Google, Yelp, and Facebook today by making it easier for people to review you. Reviews are reflections of experiences. Negative experiences (reviews) are sent to your email inbox. Getting reviews online is one of the fastest ways to start getting new customers your way. Our goal is to get you to create as many positive experiences as possible and to remedy negative experiences. Nobody wins with a negative review. Your business suffers and your client is left unsatisfied making this an undesirable position for everyone involved. We filter experiences online to help create a win-win situation for everyone. When a situation needs managerial attention, the appropriate person is notified and the situation can begin to move towards a more favorable outcome for the customer and for you. One of the fastest ways to improve your online reputation is to take charge of it. How does Marketing Tongue work? Our online reputation management tool gives you the opportunity to prevent negative reviews from going online through review funnel tactics which give the user options. Our tool can help you increase customer loyalty and retention while boosting your overall customer satisfaction levels. What is a review funnel? 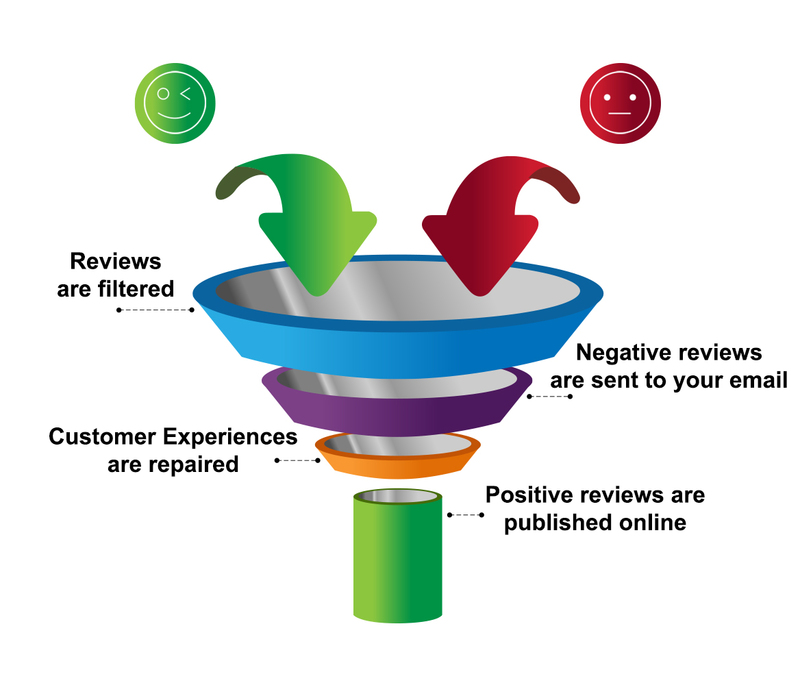 A review funnel is a system or tool used to sort positive reviews and negative reviews. This allows positive reviews to be sent to review listing websites like Google, Facebook Reviews, and Yelp; while negative reviews are sent elsewhere. Negative reviews can be sent directly to you or to a party of your choosing where action can be taken to remedy or fix a negative experience a customer may have had. What is an experience funnel? Online reviews are experiences that have been expressed on the Internet. The goal of any business is to strive to give customers as many positive experiences as possible, but sometimes a customer can have a negative experience. When a customer has a negative experience with just a little effort they can be turned into one of your best customers, it just takes a little effort. You have to reach them at the right moment to convert that negative experience into a positive one, and that’s where we come in. We help you catch negative experiences while they are fresh so you can have an opportunity to remedy the situation. Users can easily review you online directly from your review dashboard which contains all the links and even prompts any needed windows for users to review you. The dashboard is easily accessible with just the click of a button and is completely responsive and mobile-friendly. Through the Marketing Tongue’s review dashboard, a review funnel is created which helps direct positive reviews where you want them. Get positive reviews on Google, Yelp, Facebook, Trip Advisor and more, and get email notifications from negative reviews from your dashboard. Many businesses fail to take charge of their online reputation. If you do not control your online reputation, then someone else does. And do not be mistaken by thinking if you do not have an online reputation that you’re safe from the effects. Having no online reputation can in some cases be just as bad as having a bad one. Our goal is to help businesses elevate customer experiences. Good reputations are not developed they’re earned! Our online reputation management tool helps customers review a business easily online with the click of a button. This gives business owners insight into what is working in their business, so they can continue doing what works. When someone has a bad experience in a business, they can feel used, cheated or lied to. They can feel powerless and voiceless like their experience and opinion doesn’t matter. This is not right, and this is not the way someone should ever feel! We empower customers by ensuring their voice is heard. If someone has a bad experience in a business – an actual bad experience – then the business that created that bad experience needs to do something for the sake of their customers. When a customer files a negative experience from our dashboard that comment is sent directly to a decision maker in the business so action can be taken to fix the situation. If a Marketing Tongue client refuses to set up their account with a decision maker’s email address their account will be closed. We refuse to work with clients that do not put the experiences of their customers first. Most businesses want to provide their clients or customers with a great experience, but most of the time they don’t know how to. Many businesses don’t know how to create customer experiences that inspire and create a sense of customer satisfaction, and that’s where we come in! During our client onboarding process, we coach clients to learn how to create positive customer experiences, because we believe a good reputation is not developed it is earned!